The Future of the Internet of Things: What Awaits This Tech in 2019? At present, there are challenges and opportunities for China’s manufacturing transformation. The emergence of new industrial technologies, such as Industry 4.0 and Industrial Big Data, have allowed “Made in China” to usher in new development opportunities. At the same time, these advancements have helped many lives to undergo rapid changes. For instance, the GPS on your new car can tell the oven in your home that you are on the way. You will arrive home after 20 minutes, and the oven will start to bake food. At the same time, the air conditioning system at home will also be activated to ensure that the indoor temperature has been maintained at a comfortable 22 ° C when you enter the home. The moment you walk into your home, you don’t need to press any buttons. The podcasts that you listen to on the way to work can follow you from the car, to the phone, and then to the home’s audio system. Even when you take a shower, you won’t miss a piece of content. As you can see, scenes that seem to be in the future are now in our lives, thanks to the boom in the Internet of Things and smart devices. We believe that the present industry 4.0 era’s composition can be divided into three major blocks: intelligent production, cloud big data technology, and overall innovative solution. Overall, these major blocks are called Become Industry 4.0. However, in the past few years, the failure rate of smart hardware startups and investment has been extremely high. The form of intelligent hardware is too primitive. The so-called intelligence is mostly limited to networking. There are just so many unintelligent pseudo-demands. Products also have limited control ability and lack research and development. They also do not undergo the entire process of testing, trial production, and mass production. 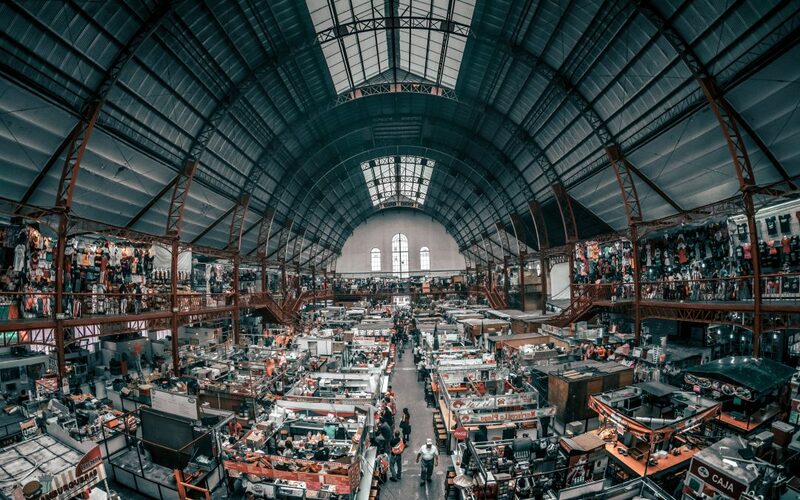 Based on these market pain points, LABX7 decided to invest in infrastructure, such as test labs, electronic hardware R&D equipment, and flexible manufacturing lines, to provide entrepreneurs with vertical depth technical services from product design to prototype production. We aim to discover the best quality projects to participate in the investment process. Labx7 is a global technology services innovation company, headquartered in Shenzhen, China. 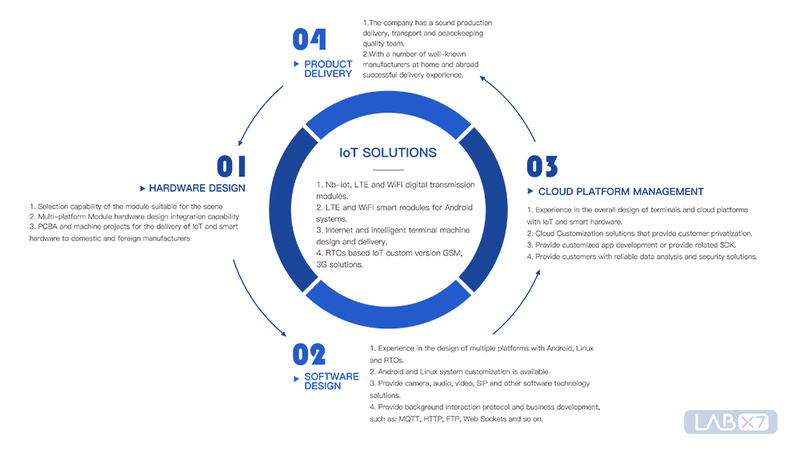 As the world’s leading IoT development and cloud service platform, we focus on product design engineering, development management, supplier resources, intelligent manufacturing, personalization, product distribution, and other product management services. We offer all this to help our partners from the conceptualization phase to the actual product development. 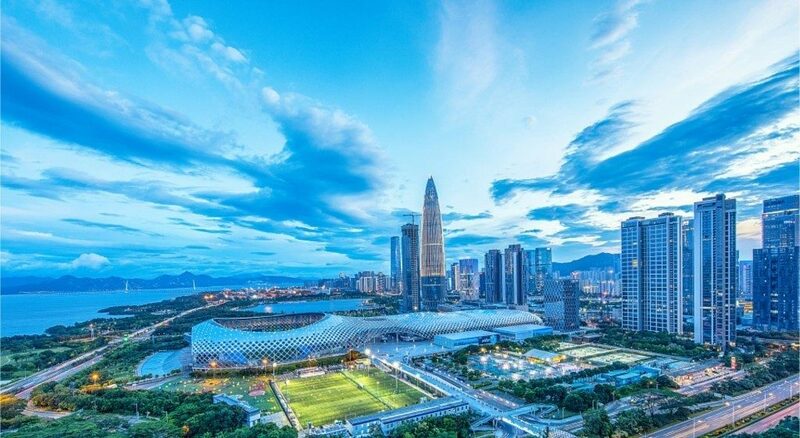 Shenzhen is China’s best “commercial engine.” Shenzhen, and its surrounding areas, can produce the best electronic products with the best technology, best quality, and best price at the fastest speed. 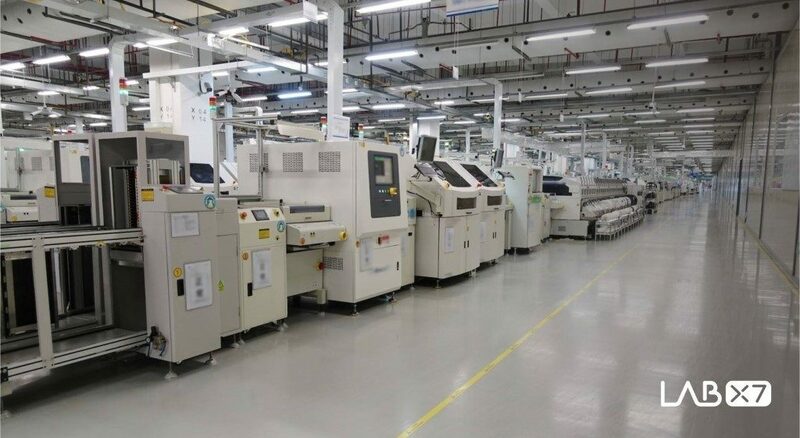 LABX7 builds the entire Pearl River Delta intelligent and intelligent industry system with Shenzhen as the center, and can shorten the delivery period of a new product (from the time of order, to the delivery time, including all intermediate links of preparation, production, transportation, etc.). No other country or region can match what we offer. In this advanced era, new scenes create new opportunities, and these scenes become an important entry point for the Internet. We use these scenes to create new connections between people and products, and eventually find new ways of interaction between people and products, environment, space and people, innovative products, and product business value enhancement. Ultimately, we will provide a one-stop solution for user-centric products. LabX7 is committed to helping our partners deliver a superior customer experience, creating innovative, intelligent hardware products that enable them to maintain lasting, solid growth value, and added value in the marketplace.